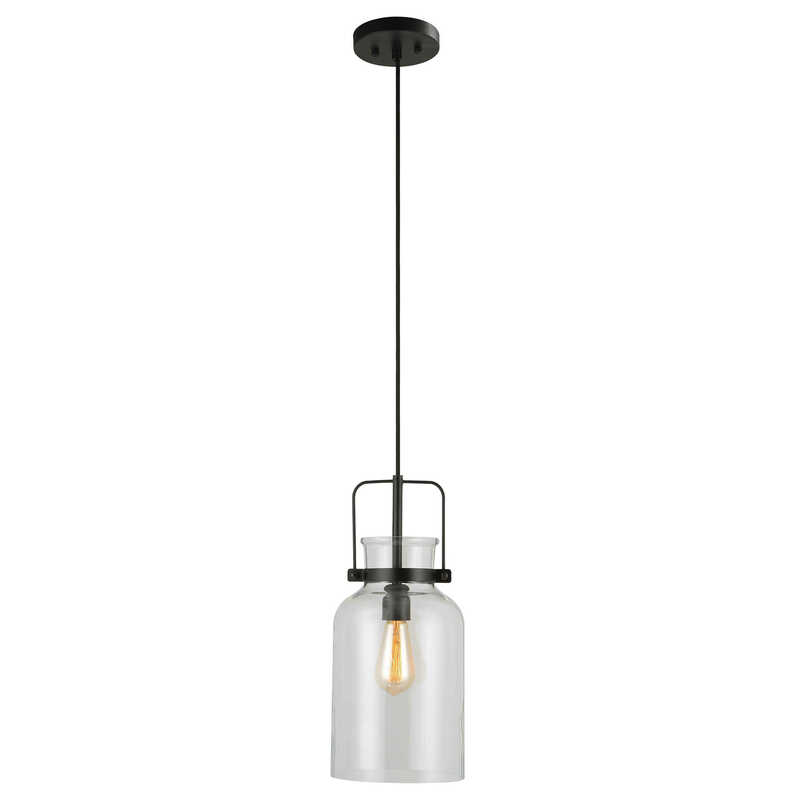 Soft industrial simplicity and farmhouse charm give this mini pendant it's clean look. 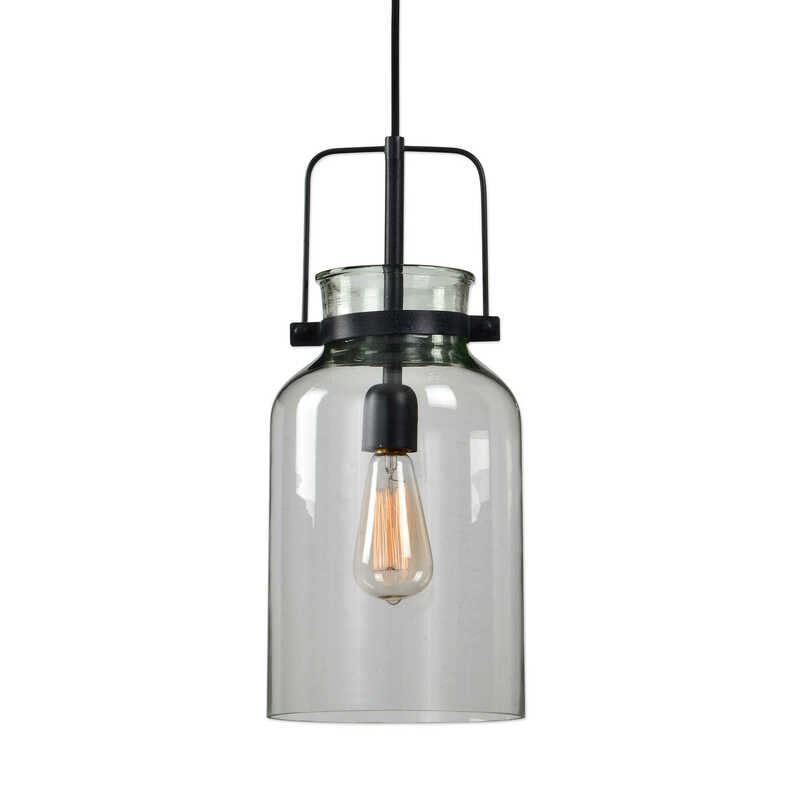 Featuring clear glass with a textured black finish. 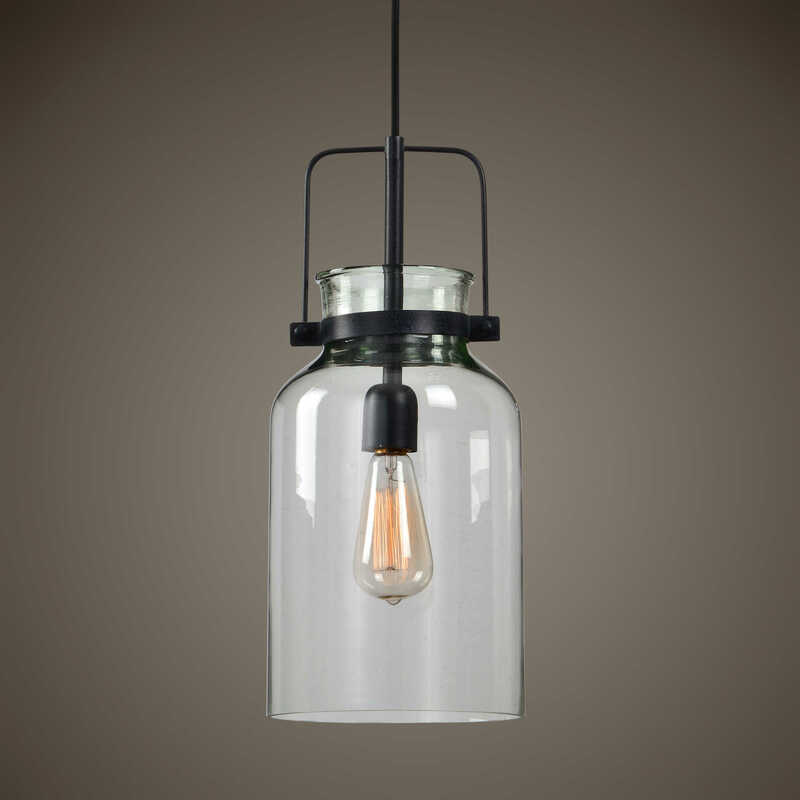 Includes 1-60 watt decorative antique style ST64 bulb.